Broken hexagons, deer skulls & beer bottles scattered in the swamp, as if someone or something is leaving clues, but it’s all just dust- as if a giant dirt bomb of our cultural debris was blasted in the face of nature, exploding discarded artifacts across the peripheral landscape. This is the swamp thing. A voyage into the incidental and magnetic landscape roiling at the edges of our civilization. Relics of the not-too-distant past become temples for the future. Shrines for the imagination. Take our eyes, let our visions guide your subconscious through the intoxicating rhythm of the jungle. Walk with us on the perimeter of our culture, through the tunnel of time. The Dismal Swamp in central New Jersey serves as this project’s nucleus. Caswell, Graf and Heyliger have photographed the site simultaneously and independently over the last three years. The exhibition includes photographs made on-site while trekking through the swamps as well as works inspired by the location. Bodega’s library and loft will act as a studio and interactive space throughout the duration of the exhibition where a collection of objects, printed matter and other ephemera will provide a fluctuating library of materials relating to the works in the main gallery. Cole Caswell received an interdisciplinary M.F.A. from the Maine College of Art, and has been working, living and observing on Peaks Island three miles off the coast of Portland Maine. Over the last few years Caswell has collaborated with the arts collective Spurse and the non-profit art organization the Creative Material Group. He has lectured at The Maine College of Art, The University of Maine in Orono, and Syracuse University’s School of Architecture. Bryan Graf lives and works in Maine and New Jersey. He received his M.F.A. from Yale University in 2008 and his B.F.A from the Art Institute of Boston in 2005. He has held solo exhibitions at Yancey Richardson Gallery in New York, NY and Galleri Kleerup in Stockholm, SE. This summer a large selection of his work will appear in the exhibition Second Nature: Abstract Photography Then and Now, at the Decordova Museum. His work has appeared in Blind Spot and the New York Times op-ed column, among other publications. CJ Heyliger grew up on the Colorado Front Range and received a BFA from the Art Institute of Boston at Lesley University in 2006. His work has been exhibited at Pantopticon Gallery in Waltham, MA and Gallery Samsøn in Boston, MA. 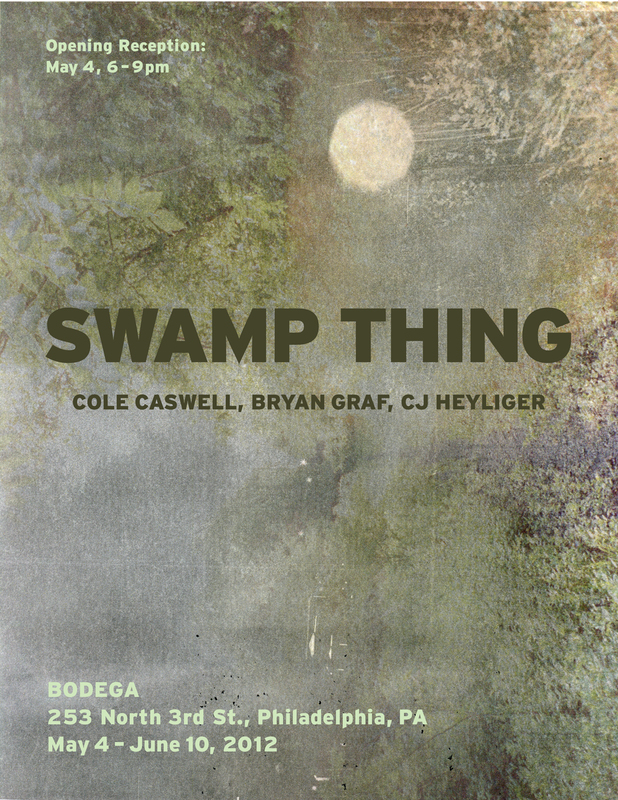 He is a founding member of Sun System Press, a publishing collaborative he shares with Cole Caswell and Bryan Graf. He currently lives and works in Somerville, Massachusetts.